Every business or company aims to provide the same level of quality plan regarding the products and services it produces or makes. Making the quality consistent all throughout the business process is a challenge in itself which is the same as event management targeting the success and delivery of an event plan. Some companies result to asset management to manage their assets in their stead. 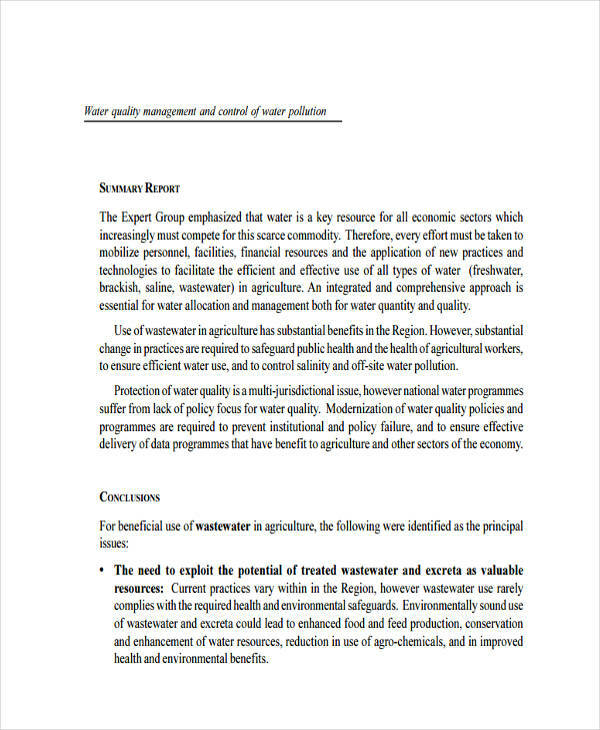 Examples in the page show different quality management examples. 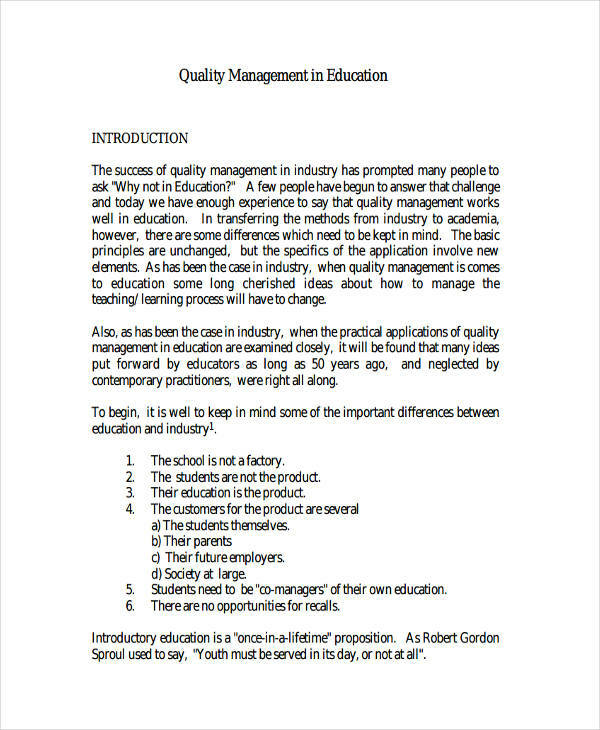 Scroll down to get views of other examples of quality management. Be sure to check out our home page to search for additional examples of performance management. 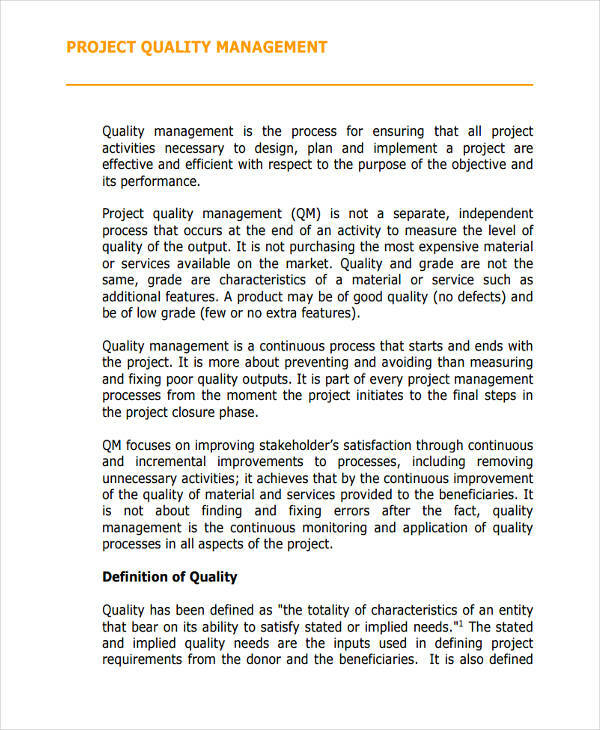 Quality management aims or assures a consistency in the production and delivery of a product or service. Quality management has the smart goal of making a quality product or service on time and all the time. 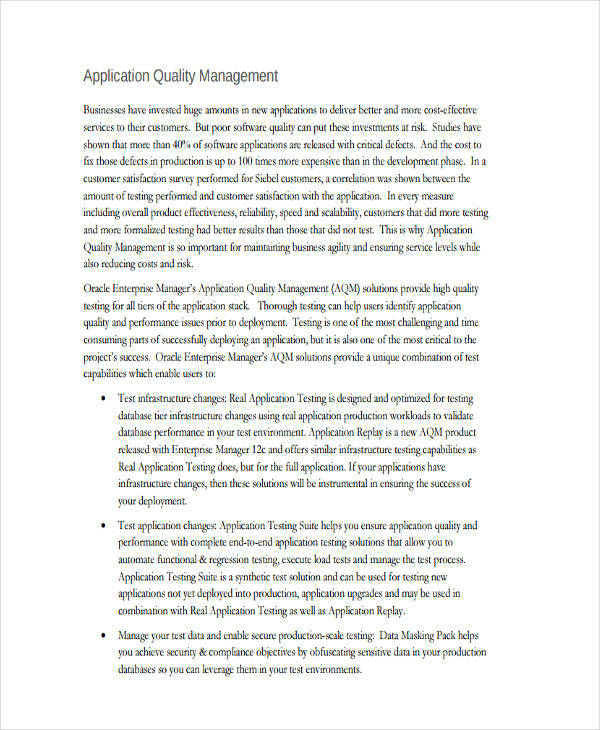 Self-management examples seen on the page further provide information regarding quality management. Feel free to click on any download link button below a sample to have a closer view of the sample. 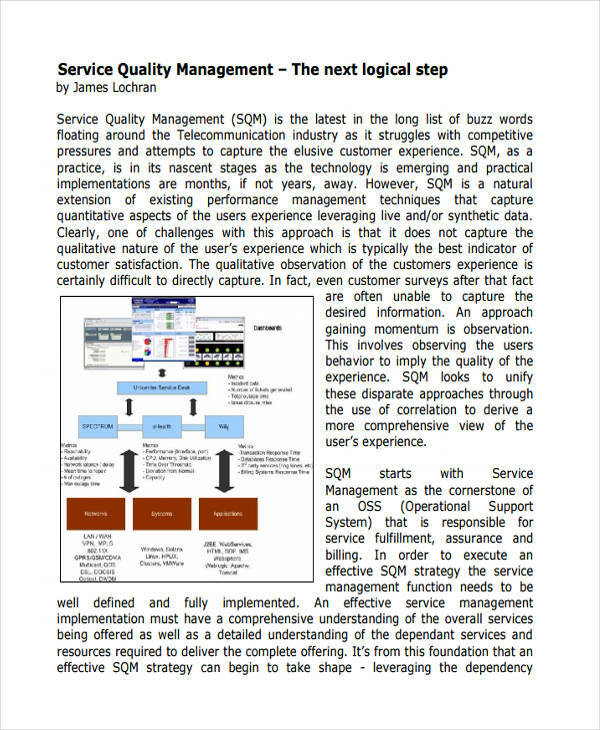 Quality management guarantees quality products and services. Quality management ensures that every product rolling out of the warehouse has been subjected a thorough process and is reliable and durable. Quality management ensures customer satisfaction through reliable products and services that meet and exceed the expectations of the clients or customers. Happy customers become loyal customers. Quality management increases efficiency and therefore equate to increased productivity and revenue for the company and employees. Quality management is environment-friendly since it aims to reduce wastage in every process involved in the business plan. 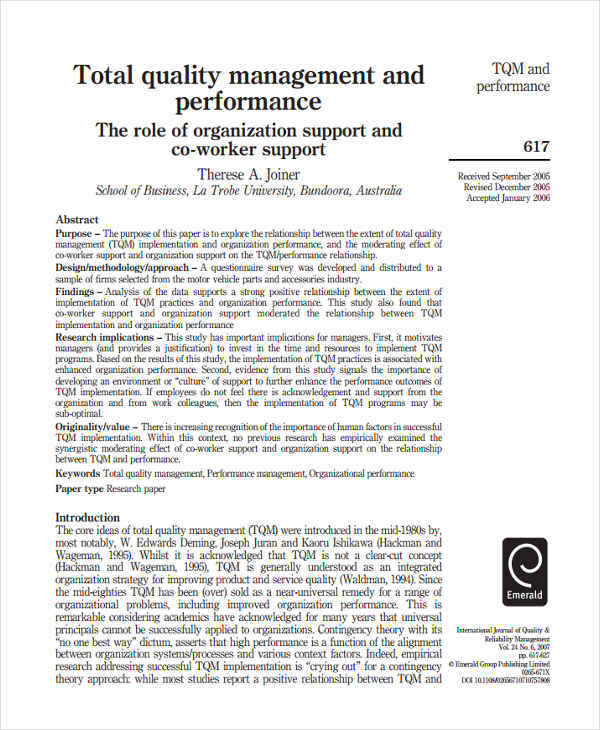 Quality management is a team effort and therefore can become a proponent to changing the way employees think due to team work within the company. 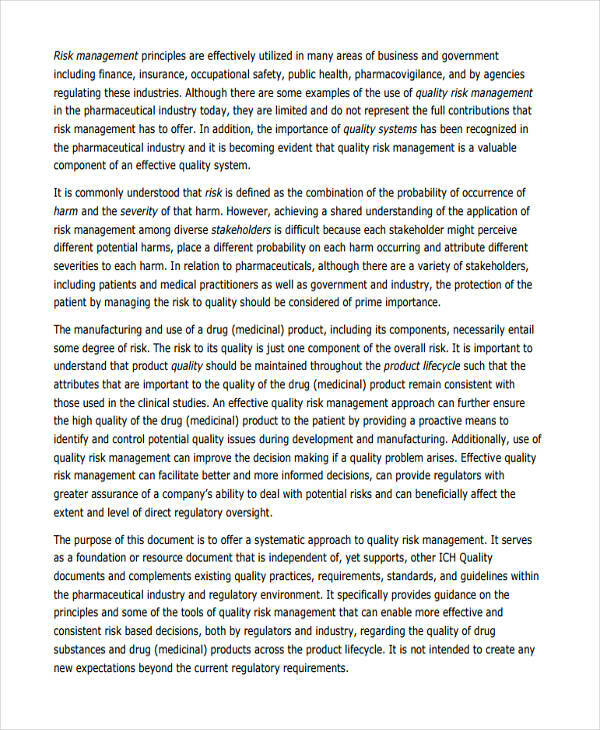 Risk management examples in the page provide additional information regarding quality management. Clicking on an individual download link lets you download the full sample. Quality management is a good thing and benefits any business or company. The only downside of quality management is finding the right people to do the job. Quality management processes can sometimes be difficult to implement and therefore lies at the hands of making concerned individuals be motivated in giving their best effort to quality. 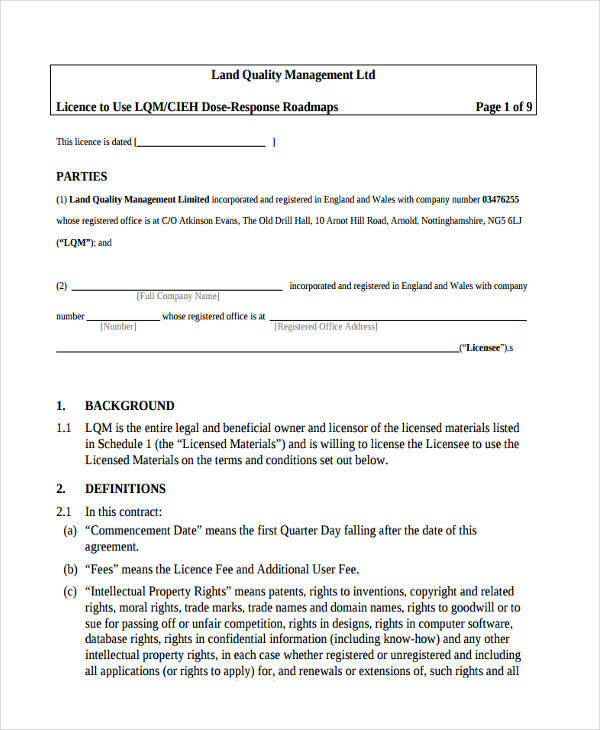 Project management examples and business management examples in the page can additionally be a basis for creating control plans of quality management. All samples can be downloaded by clicking on the download link button below a sample.